Best Web Hosting or Cheap Web Host - Which One is Good? Home » Web Hosting » Best Web Hosting or Cheap Web Host – Which One is Good? Best Web Hosting or Cheap Web Host – Which One is Good? Best Web Hosting or Cheap Web Host – The choice of which one is good? One must be acquainted with the term web hosting if he or she wants to start a career in the field of creating or designing websites. This term is quite easy one to understand. 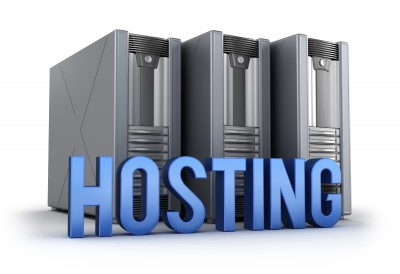 Web hosting plainly refers to a service that would make a website accessible to users all over the world. As we know, millions of websites are viewed on the internet by different users at any time. These websites are available to them through web hosting service, that is, if an individual wants his website to be viewed at any time then he must make sure that his website is running throughout the day on a computer. This service is provided by companies that allow space on a server which is leased for use by the website owner. Apart from it, these web hosts also provide internet connectivity and data center space for other such servers in respective data centers. Once you have this information, the next question arises that which web host company should be selected and at what price offered. Best web hosting companies and cheap web hosting companies can provide a broader insight of the overall procedure. Well, for most of us it can be tempting to merely look at the cost of service to choose a web hosting plan. However, you may find dozens of web hosts in a calculated price range. So with so many to choose from, what exactly should one choose? Let us first look upon the general services that a best web hosting company would provide. Depending upon the price of service or plan, best web hosting or cheap web hosting can be selected. Web hosting that cost less than $10 dollars can be generalized under cheap web hosting plan. Most of the web host companies offer monthly service at different prices and provide varying levels of service. These packages include important hosting components including total disk space, bandwidth and domains. Some of the web hosts have fixed allotments while others enable you to store unlimited disk space, bandwidth and number of domains under your account. Select a hosting package depending upon the size and type of websites to be hosted. Cheap web host services are sufficient for simple and small websites whereas for multiple sites or a professional website that is linked to your business, one can choose from the best web hosting companies at a relatively high cost of plan. The best web hosting companies provide multiple features that allow you to design, publish and maintain the website. It must include a combined control panel for easy management of the website and single-click installation of approved apps. You can also find unlimited email addressed that could include the domain name of customer, and other Email support functions like auto responding and spam filters. Apart from this the best web hosting sites should also allow ample amount of access options to the server, and advanced features concentrated on users that have experience in web design and programming languages. PHP support, Microsoft FrontPage extension, multiple add-on domains and sub domains, multiple POP3, website stats, virus protection and at least 99.9% network uptime guarantee are key features for best host plans. However, one should notice that even the cheap web hosting companies provide unlimited FTP accounts and secure shell access (SSH). Hosting and maintaining a website is a hard work and can create technical problems anytime during the course of process. Subsequently, customer would look for an interactive technical support system that is available 24 hours a day, seven days a week for any kind of tech assistant. This should include user forums, video tutorials, knowledge base and getting-started wizard that can assemble the site and help in smooth running. Even the small business web host services should accommodate necessary resources to help the user get familiarized with their service and understand the work procedure. Cheap web host services may not be as effective as the best web hosting sites in this regard. For those who have little experience with shared web host providers, the usability of the web host is a crucial factor to be considered. One should choose for services that provide a user-friendly interface and easy data base management system for the website. Both the cheap web hosting and the best web hosting sites should have an easy user interface, and service plan can be purchased keeping in mind the ease of usage factor. Apart from these, a best web hosting company must screen all the new clients and check individual identity before activating. Every site on the server must be monitored so as to make sure that malicious codes are not uploaded to the site. Best web hosting services are generally used for business websites, where the user can have a competitive edge online, with respect to other sites. No matter whether one is acquainted to concepts regarding wed design and hosting, these services can help you create, publish and run a successful business website. For other small websites, cheap web hosting services are suited. However, the price range for cheap web hosting services is less than those offered by the best web hosting services. Once these terms are kept in mind and accordingly web hosting companies are selected, one would notice that there is a considerable difference in service charge. Also most of these web hosts would have multiple plans at different prices. A good web host shall allow up gradation to its numerous plans, later on if required. It is left on the user to decide whether he needs a cheap web hosting service or the best web hosting service. Cheap web hosting is good or best web hosting? Share you experience with us in the comment box below. Bashir Ahmed is a founder of Ajnabii.com and ProWPBlogger blogs. He love to write about blogging, social media, . Add him in your Google+ Circle! Ahmed, You’ve really done a great job here by taking your time to dissect the whole topic. There is more to hosting a blog than just making sure your content is uploaded and site starts running. You need the technical support 24hours per day and 7 days per week. If you go for a hosting company that cannot guarantee you 99.9% network uptime, then you are already in trouble. A site that experiences downtime for about 5 hours in a day is bound to lose several customers. If this repeats several times in a month or year, then be sure half of your customers would be gone by the end of the year. Technical support is so important for site owners, especially those who are not grounded in taking care of their site database. A good web host should be there to ensure that customers’ concerns are easily taken care of and that each customer leaves satisfied. Some hosting companies make it a point of duty to see that each customer scores the customer care agent that attends to him/her at the end of chatting with the agent. A web host that is prone to virus attacks cannot guarantee the safety and security of your data. Besides, one virus attack could bring down your site for several hours and you may never recover from the attack if your site contents are erased and there is no proper backup system put in place. It is therefore advisable to take a proper look at the good side of a hosting company before making a choice as to who hosts your blog. I’m so glad you liked the post and sharing your thoughts. You’re right, good best host always provide you 24/7 Tech support and always be ready to help you in any case if you face. Thanks for adding the value in post by leaving your awesome comment. I appreciate it. hmmm, this post is a great food for thought. I guess no one will ever go in for something cheap when he or she can’t sincerely vouch for the quality but it all boils down to money! Glad you liked my post, thanks for stopping by and leaving your comment. I think you’ve covered everything there is to learn about web hosting in this one post. Yes, you are right about making our decisions to choose a cheap or the best web hosting, and if we have done our research well enough – just for a little more money, most should go in for the best one around if you are sure your business is going to be growing. I agree, if you are into small business of have a small blog presently, even cheap ones might do, but they do have their drawbacks. I’ve heard BlueHost is a good web hosting company too, though never tried it as I’m very happy presently with what I use, and it does give me full support which is what I look for foremost, besides other things. However, if our blog grows perhaps we would need to go in for a costlier and better one. I’m happy to heard that I’ve covered hosting points here. You got it right, one should do proper research before purchasing any hosting. Its all depend on budget and hosting needs. Like I want to host 1 or more blogs at one hosting account then cheap hosting is not for me. I’d go for best who offer reliable and good service for 1 to 5 sites at very affordable price. Thanks for coming by and adding the value in my post – have a nice week to you as well. But then I chose Hostgator for hosting [because of its popularity]. Great article and keep posting ! Glad to know that you liked my article and will recommend it to your friends. Thanks for sharing your hosting experience with me. I can understand it may confuse you when you hear lot of friend recommendations. For your satification read reviews about hosting companies before purchasing. I’d suggest you use their Live chat support and tell them you hosting needs and see which hosting plan they recommend you. For small and new blog starting package is best. Like HostGator is offering Hatchling plan, Baby plan for 1 to 5 sites you can host. Very nice and informative post. Web hosting has its own importance for those who are running their online ventures. Perfect web hosting can make you favorite of search engine. Signing up for web hosting depends on one’s perception. I must prefer best web hosting at cheapest price. Thanks for sharing your experience with us. Yes indeed search engines always like fast loading sites and working for 24/7 up. You know that downtime can kill your search engine ranking and will effect your readers. Cheap hosting is not bad but best web hosting companies are better then cheap. I love to prefer and recommend best web hosting. As service is much important than price. If service and hosting is good then it is quite fast and easy to achieve some goals in blogging else cheap hosting just give you speed breakers in blogging. Thanks for stopping by and sharing your thoughts with us. You’re right here, if web host provide you good and awesome service then I think price does not matter. But if you’re newbie blogger and looking for some cheap web host to start your blogging career then you should check out their services what they offer. Hi Bashir, Thanks for taking the time to write this. I appreciate the effort and topic (one of my favorites), although I admit I was a little disappointed not to hear more details about the various types of hosting, examples of hosts and considerations that go into distinguishing the best over a low cost host. And what would a compromise solution look like, a really good low cost host? Glad to know that Web hosting topic is your favorite. Thanks for your appreciation. Stay in touch I’ll come up with another detailed post with example of hosts and considerations. Thanks for your comment – I do appreciate it. There is more to hosting than just having your blog runnng, some people suffer for this because they went for cheap host for their blog and they have themselves to blame. Many thing are to be considered when choosing a hosting company which price is the list thing and support and service being the topmost priority that must be first consider. That’s what I’ve tried to cover here. Thanks for your comment. Hope to see you around. Who among you guys tried using Nazuka? That’s very intriguing hosting service. They offer everything unlimited but all for free. I need some feedbacks from their users. Please have some review about it. I’ve not heard before about Nazuka free hosting and really I don’t want to test their free services as I know free services are not the best solution for your site. Go for Paid hosting. I’m sure if they’re offering FREE HOSTING then they must use their Ads without user permission. I would prefer Cloud Web hosting. Because of Scalability, Security, Cost Effective and Server better performance. Yes, Cloud hosting is also good. But don’t you think cloud hosting is expensive for new bloggers who want to start their blog or for new site owners? Normal hosting charges $4 to $8 USD per month for hosting. Thanks for sharing your ideas regarding web hosting. I really loved your way of writing. According to me, we always prefer to hire best hosting service provider company instead of cheap web hosting. Now a days some reputed companies offers web hosting tool to their to compare our domain with other web hosting service providers on the basis of their price, bandwidth, platform, disk space, hosting reviews criteria. Glad to know that you liked my writing – I ppareciate it. Please create an account on Gravatar.com and upload your own photo we strongly recommend you to do it otherwise we’ll not be able to approve your comments. I hope you’ll understand our blog comments rules. Hello Bashir, Many people seem to choose the wrong host just because of the low prices, but choosing a host based on price is not always the best option, as im sure you will agree. I use a reliable, cheap web hosting provider, but i have been building websites for around 6 years, so i have already used over 10 unreliable providers before finding the best one for me. There is still a selection of the best cheap web hosting providers, but you must do extensive research on each provider before selecting which one to host your files. Thanks for your informative article. We respect your privacy and protecting it seriously. Are You The Best Boss You Could Ever Be? Are You Ready To Make It As A Blogger?